The second day of StarSeries i-League S7’s group stage is over. 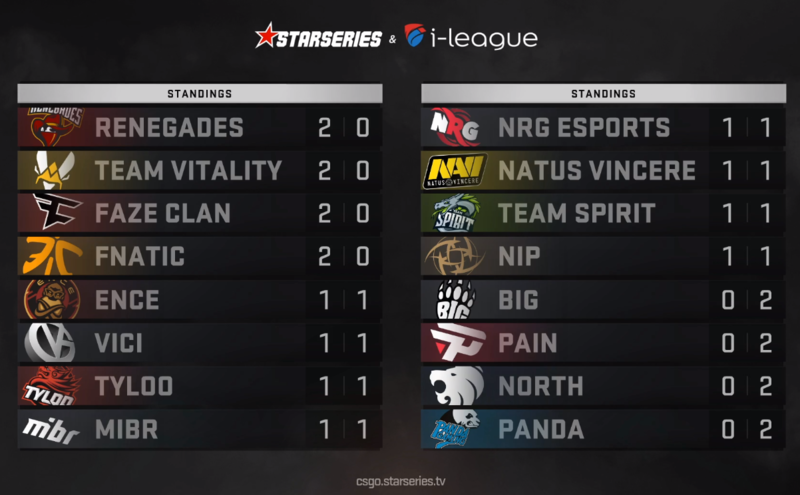 FaZe Clan, Renegades, Fnatic, and Team Vitality are now one victory away from the Playoffs, but on the other hand, Panda Gaming, North, paiN Gaming, and BIG have reached the edge of elimination. The other teams are in the neutral zone, which is the 1-1 pool. Day Two started with the Chinese derby, TYLOO against Panda Gaming. In this match, Hansel "BnTeT" Ferdinand’s team got an easy win, losing only 10 rounds across two maps: 16-2 Inferno, 16-8 Dust II. In another match, Team Spirit outlasted paiN Gaming. The Russian squad prevailed on Inferno 22-20 and Nuke 22-18, but in between, they were defeated on Mirage 9-16. The most efficient player of Spirit was Artem "iDISBALANCE" Egorov: 99-66 K-D (67 AWP kills), 1.39 HLTV KDR. Natus Vincere managed to bounce back after yesterday’s loss against ViCi Gaming. The CIS squad beat the Germans of BIG with a 2-0 score: 16-4 Mirage, 16-11 Dust II. Oleksandr "s1mple" Kostyliev had a massive impact on the game, leading the scoreboard for Na’Vi with 1.62 HLTV KDR, 91.5 ADR and 49-18 K-D. In conjunction with this, Ninjas in Pyjamas took down North. On the first two maps, NiP turned out to be a stronger team on Nuke, 16-14, but the Danes tied the score on Train, 16-12. It all came down to Mirage, which ended in favor of the Swedes — 16-12. 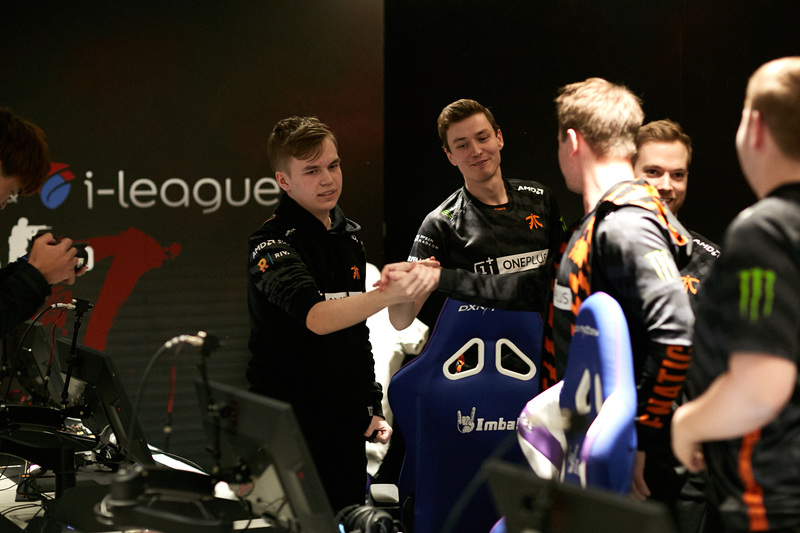 Now the Danish five is one loss away from being eliminated at StarSeries i-League S7. The first team to enter the 2-0 pool was FaZe Clan. FaZe won over ViCi Gaming with a 2-0 result: 16-10 Dust II, 16-3 Overpass. They were followed by Renegades and Fnatic. The Australian got revenge on MiBR for losing the quarterfinals of IEM Katowice Major, defeating the opponent 2-1 (16-4 Train, 8-16 Cache, 16-9 Mirage), while the Swedes dealt with NRG Esports 2-0 (16-13 Cache, 19-15 Nuke), coming out on top in the game on Nuke for the first time in 12 months. Team Vitality and ENCE Esports were the last teams to join the server. ENCE got off to a good start by winning Mirage 16-10, but after that, they were crushed on Dust II, where the French won 16 rounds in a row — 16-4. On the decider, which was Inferno, Vitality outperformed the Finnish five once again, closing out the game at 16-13. Mathieu "ZywOo" Herbaut was the MVP of this match: 1.38 HLTV KDR, 64-46 K-D, 93.1 ADR. The tournament’s schedule can be found in the viewer’s guide following this link. Subscribe to StarLadder CS:GO on Facebook and Twitter to receive updated on all results from StarSeries i-League S7 in Shanghai!